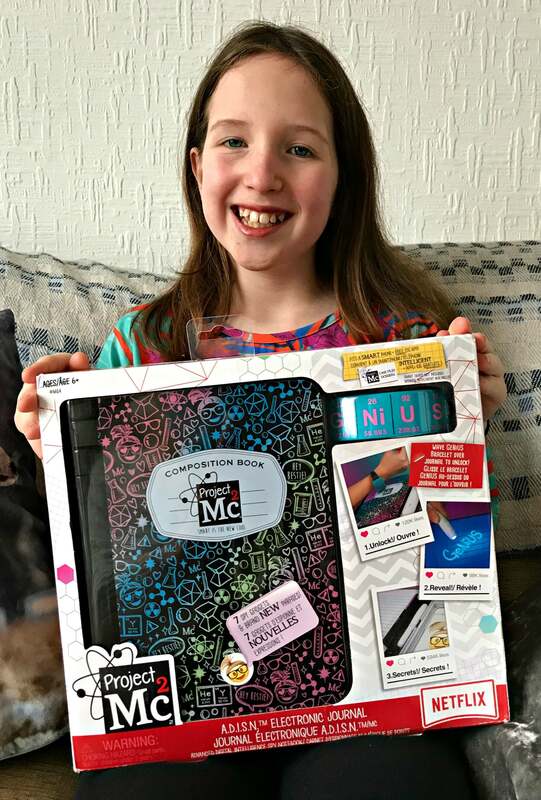 As you’ll know from our previous reviews of the Project Mc2 Pixel Purse and the Project Mc2 Ultimate Lab Kit, we were newcomers to the Netflix series Project Mc2 when we were asked to review these products, specially designed to reflect the current interest in STEM-based projects for kids, particularly girls. STEM, in case you’re new to the term, stands for science, technology, engineering, and maths. The idea is to build a love of learning and a solid base for understanding key concepts later on as children work through the Key Stages in school. 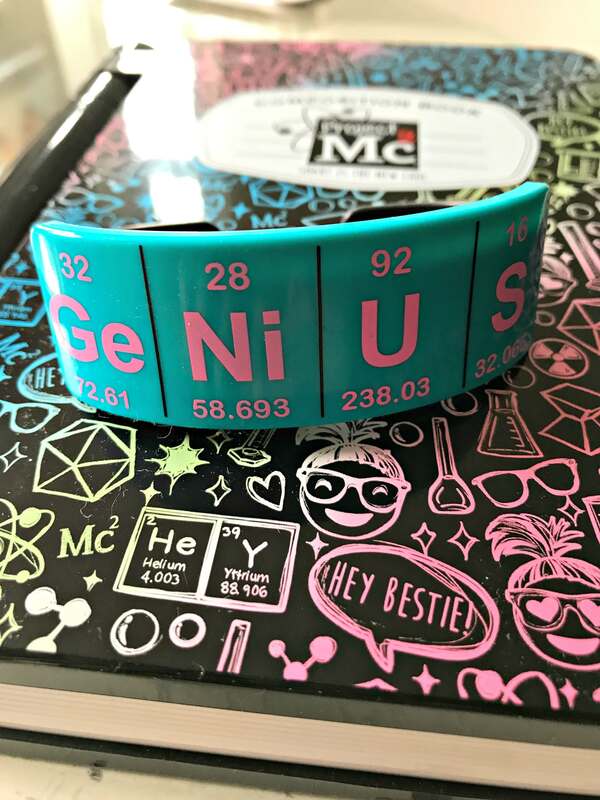 The Project Mc2 series is set in the fictional city of Maywood Glen in California and is about STEAM activities (STEM plus Art!). In the series, heroine McKeyla McAlister and her best friends work for a government organisation called NOV8 (“innovate”). They are a secret group of teenage female government operatives trying to protect the world using science and technology skills. This time we’re reviewing the Project Mc2 A.D.I.S.N. 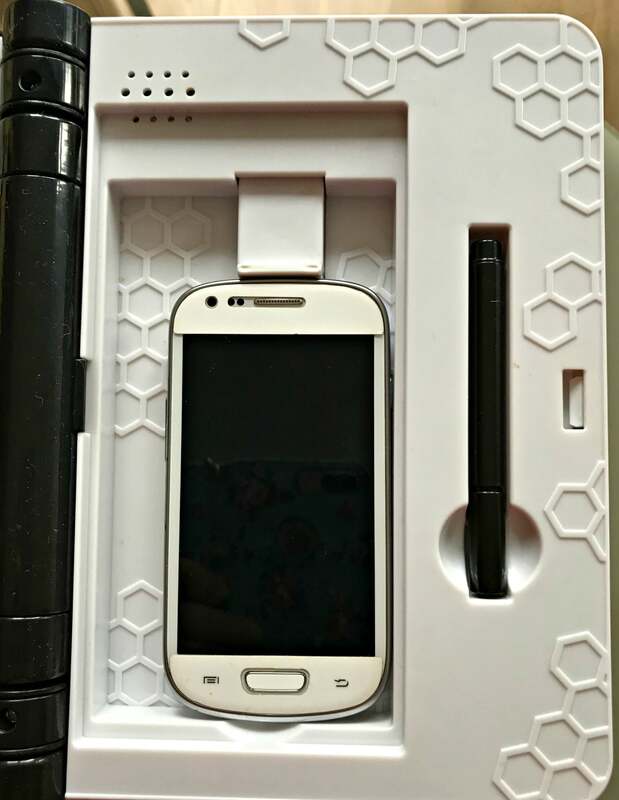 Electronic Journal which stands for Advanced Digital Intelligence Spy Notebook. 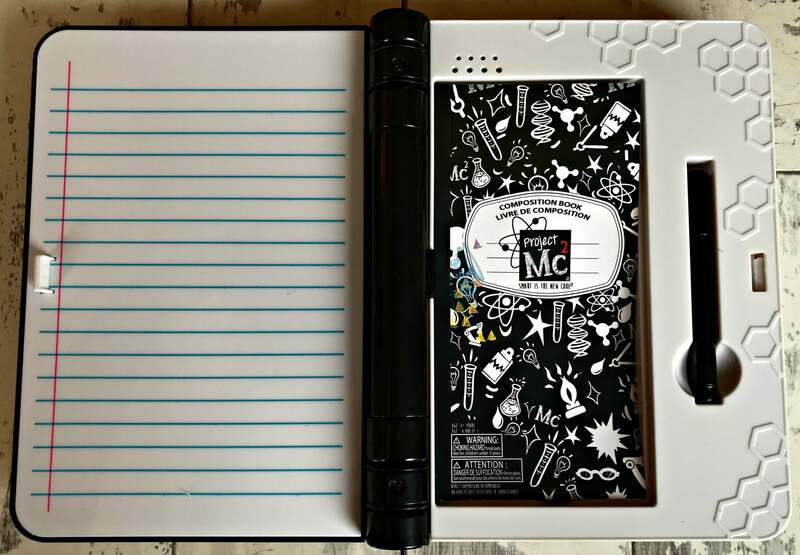 It’s your chance to interact directly with NOV8 by becoming a secret agent just like McKeyla McAlister™, using your personal Project Mc2 A.D.I.S.N. device. 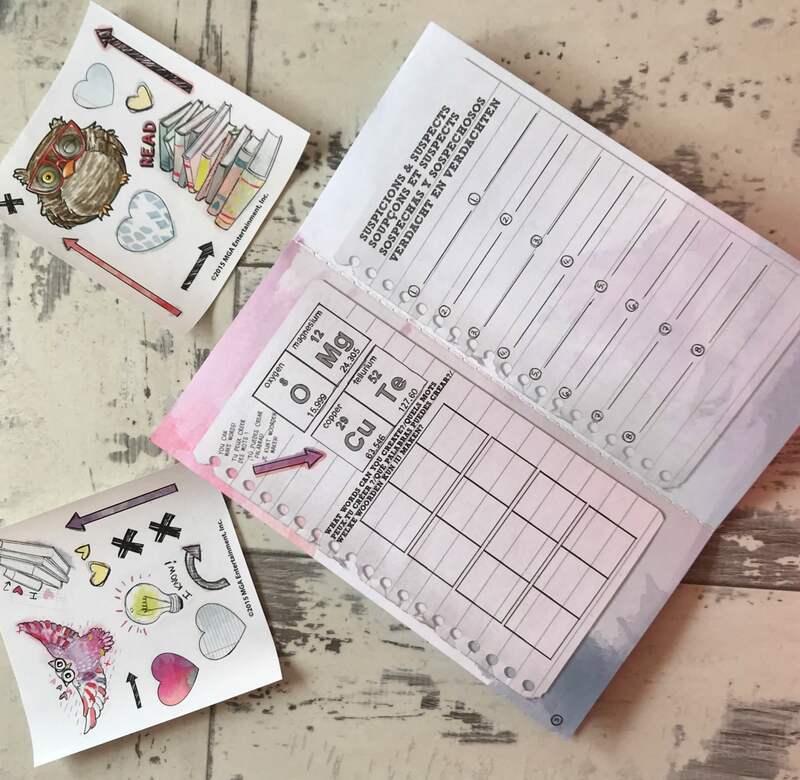 Inside you’ll find a bracelet to unlock the journal (ours said Genius but there is another that says NErDy), an invisible ink marker, a UV light tool hidden in a secret compartment, an activity booklet, and sticker sheets. To open you need to place the bracelet against the logo on the front and then the journal will spring open with a cheerful welcome message. There’s a different message when the journal closes too. It took us a while to find the secret compartment with the UV light but there are printed instructions in the packaging which tells you where to look. Write your messages on the left-hand side with the secret marker and reveal them with the UV light. 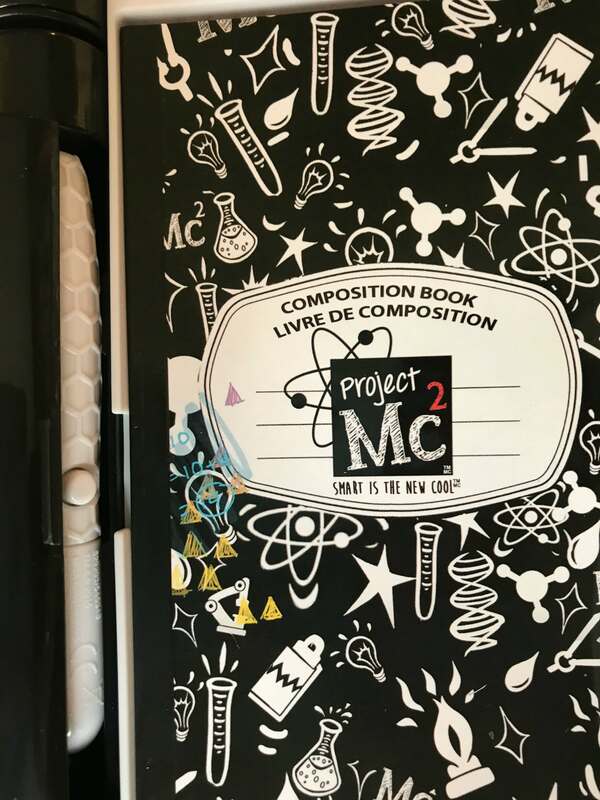 There’s a secret compartment which fits a smartphone (not included) and you can find free IOS app Project Mc² ™ “Case Files” in the App store. Note: it does not fit an iPhone Plus and the app is IOS only. As with the rest of the toys in this range, the Project Mc2 A.D.I.S.N. Electronic Journal is sturdily made and well thought out. The booklet inside the journal could be a little bigger, however, the size is restricted by the journal itself. Had it been any bigger there would be less room to hide precious things and, the true jewel I imagine to most teens, their mobile phone. Since Caitlin doesn’t have a phone yet, this aspect of the journal wasn’t particularly appropriate for her, but she loves being able to hide things from her brother and having the ability to write secret messages. 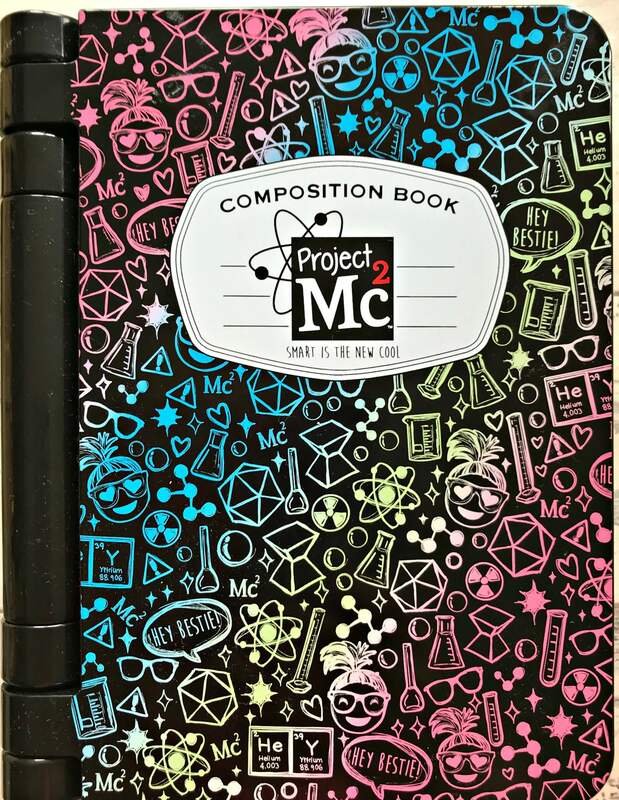 The Project Mc2 A.D.I.S.N. Electronic Journal is suitable for ages 6+ and is available from Amazon, Argos, Smyths, Tescos and ToysRus. I would suggest that since this, and the Pixel Purse, rely on a smartphone as an integral part of learning and play, the age range is possibly higher than 6+ and certainly more useful for those children who already have a mobile phone (a highly contentious issue) or have regular access to their parents’ phone. "How To Transform Your Family Kitchen On A Budget"
My daughter would love this. She has a few spy kits and really enjoys them. I’ll check out the Netflix show for her! This is just a fun little thing! Toys have really got better since I was a kid and I had a little Vtech! This looks like a fab toy definitely something I’d have loved as a child. This sounds like an interesting kit, though I find it strange the app is iOS only and fit a plus? I can imagine a lot of younger people have android as they are more affordable in many cases. That said other than that it sounds like it would be really fun! I’m pretty sure my youngest will love this one. It’s cool because it’s all about science as well. I just think it would be a nice gift especially for the fans of the show. Oh my gosh this is brilliant! I wish they had things like this around when I was a kid. This is absolutely brilliant!!! I have a little one right now, while he is a boy I do know kids love spy stuff and hidden compartments. I will definitely check this out. My nieces would love something like this. It looks like so much fun!